Harajuku student sporting a chic purple streetwear style while out and about on the street. 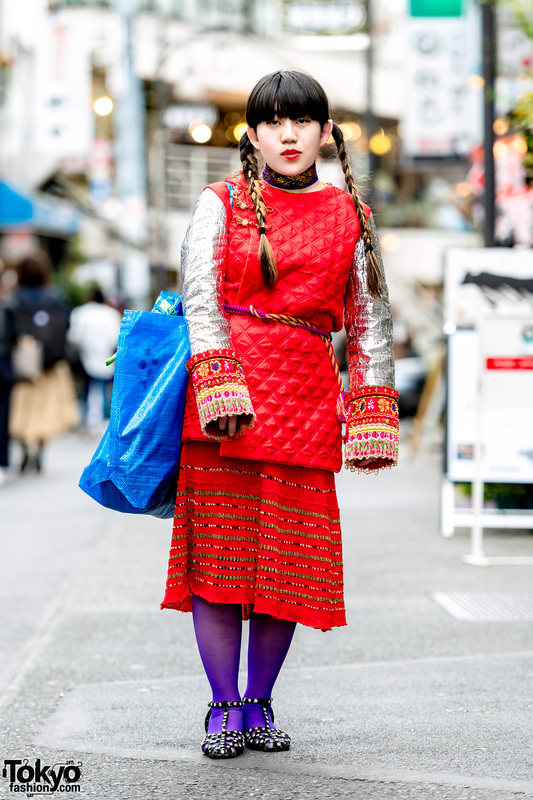 Harajuku girl sporting a purple and yellow style while out and about on the street. Spinns Harajuku staffer on Cat Street wearing a resale acid wash jacket with a striped dress and platform sneakers. 18-year-old Japanese girl wearing fairy kei-friendly pastel colors including a Care Bears x Milkfed top, acid wash shorts, purple tights, and purple sneakers. Japanese girl wearing a Batman skirt, colorful non-matching tights, a baseball cap, and rocking horse shoes on the street in Harajuku.